You are invited to a special session about hopes, dreams and revolutions in the least rainbow-friendly countries in Europe. Why? Because It’s time for Oslo Pride 2018. And oh, it’s free! Have you ever wondered what the “worst of the worst” ranking of the Rainbow Europe Map entails? Imagine losing your job or driver’s license for being gay and being raided by the police when you go clubbing. What is it like to advocate for LGBTI rights when threats and attacks, homophobia and transphobia is part of your everyday life? Come and join our conversation at Pride House Friday 29 from 14:00-15:30! Meet Arman Sahakyan from Armenia, Valentina Likhoshva from Russia and Oleg Rozkov from Belarus – all three from countries ranked as the worst of the worst in Europe. They have come to celebrate Oslo Pride and to share stories of life, love, hope, activism, football, international solidarity and revolution! They will also share their ideas about how you can support them in their fight for justice to the event moderator Thorp Bjørnstad, Europe correspondent for the Norwegian newspaper VG. 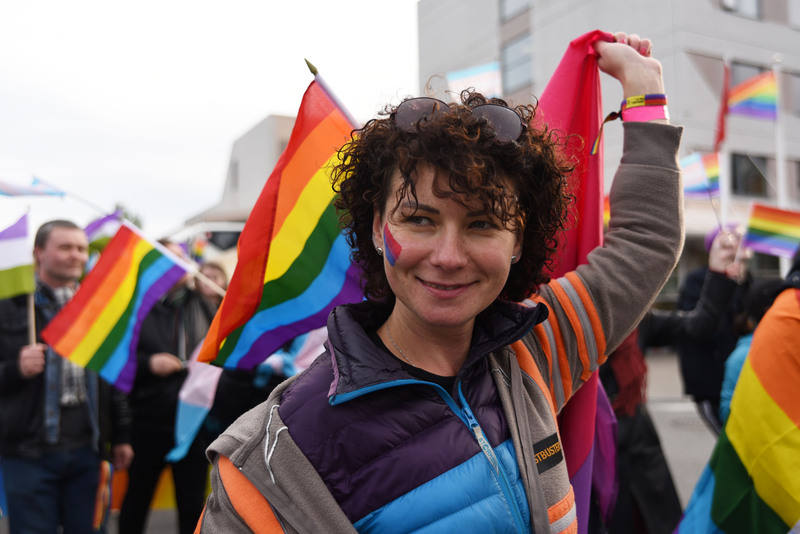 You may recognize Valentina Likhoshva from the world’s most northern Pride, the Norwegian-Russian events Barents Pride 2017. This brave human rights defender from Murmansk has spoken out on the situation for LGBTI persons fleeing from Chechnya. International solidarity gives her the strength to continue her fight for a Russia where you have the right to be yourself. Arman Sahakyan works with the organisation New Generation in Armenia. Arman was dismissed from the army for being gay. These past few weeks he has been out in the streets of Yerevan participating in the Armenian Velvet Revolution to overthrow the government.